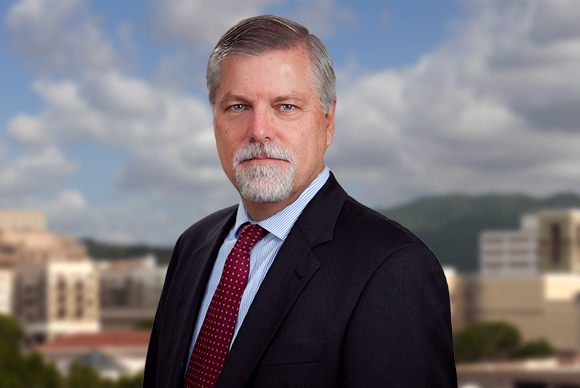 Richard Rasmussen is a founding partner of AFRCT and serves as the firm’s managing partner. Rich Rasmussen represents public and privately held companies in a variety of industry sectors. His practice focuses on corporate transactions, commercial real estate and general business and governance matters. He is often called upon to serve in the role of outside general counsel for clients. Rich has extensive experience in corporate transactions, including the handling of mergers and acquisitions, stock and asset purchase transactions, entity structuring, intellectual property licensing, employment and buy-sell arrangements, corporate governance, and general business contracts. Recent examples include the sale of a multi-office brokerage company; asset sale of a commercial vehicle leasing company; tax free reorganization of a sports agency business; sale of an insurance company; purchase of majority interest in a trucking company; and the sale of a Hawaiian auto dealership. Rich has extensive experience in representing clients in commercial real estate transactions, including commercial property acquisitions and dispositions, secured financing, complex title issues, leasing (ground, office and retail), 1031 exchanges, and brokerage and escrow arrangements. Recent examples include representing clients in the sale of a fee interest and accompanying ground lease in adjoining industrial properties; $28.5 million CMBS loan secured by shopping center; purchase of a commercial storage facility; lease of warehouse property for filming; sale of California office building (including reverse exchange); purchase of southern California restaurant; and $12 million subordinated secured debt financing. Rich also assists a variety of non-profit public benefit and religious corporations with their legal needs. Rich has been recognized as a “Southern California’s Top Rated Lawyer” (Los Angeles Times, 2013 – Present), and one of Pasadena Magazine’s “Top Attorneys” (2012 – Present). Rich is a member of the California Bar (Business Law Section), Los Angeles County Bar (Business and Real Estate Sections) and Pasadena Bar Associations. He is also a member of the National Association of College and University Attorneys (NACUA). Brian Hennessey – Sr. Vice President, Avison Young, Inc.